Alwin Chen, 18, was charged with carrying a loaded handgun and knife to class in Montgomery County, Maryland, last week. His hearing has been scheduled for Tuesday and his lawyers hope to post bond. WASHINGTON — An 18-year-old Clarksburg High School student, charged with carrying a loaded handgun and knife to class in Montgomery County, Maryland, last week now has a hearing scheduled for Tuesday afternoon, and his lawyers will argue that he should be given the chance to post bond. Alwin Chen was arrested at the end of the school day Thursday, a day after a shooting rampage in Florida made national headlines. 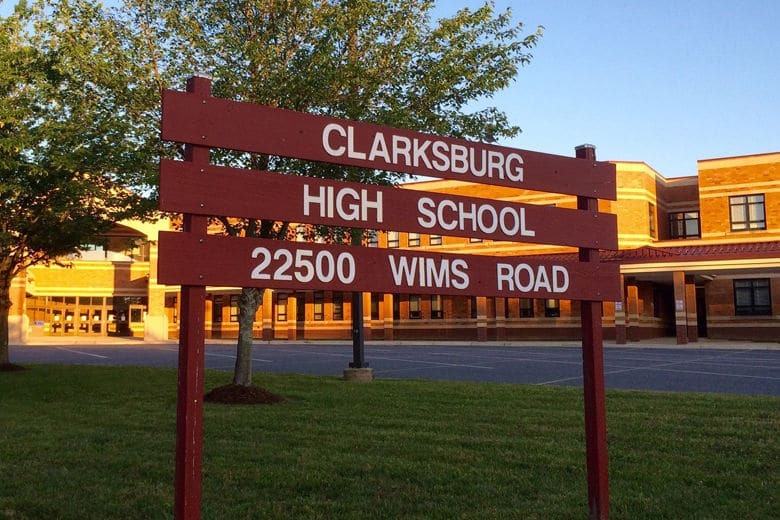 One student and the principal at Clarksburg High both said that in their opinions, Chen was not someone you would expect to replicate a violent incident like that. His lawyers emphatically believe the same thing. The high school student is behind bars until his hearing. Neither attorney were willing to discuss details of the case, but Felsen believes there’s a strong argument for allowing Chen out on bond at the conclusion of Tuesday’s hearing. Felsen said the issue with bond is a “twofold concern” — one, whether or not the defendant will appear in court, which he said is not a question in Chen’s case. But the other concern lies in whether or not the defendant is deemed a threat to the community or himself.